Over a cup of tea at his mother-in-law’s flat, Jack Bruce agreed to let ‘bygones be bygones’ with Ginger Baker and the three of them got together for the first rehearsal in Ginger’s ground floor maisonette at 154 Braemar Avenue, Neasden in North West London, just a stone’s throw from Wembley Stadium where English football history was very soon to be made. It was an auspicious summer. The three musicians found that playing together was instant ‘magic’ and so good was the sound that kids from miles around could be seen dancing out in the fields that bordered The Welsh Harp Reservoir nearby. “Yeah, man we’re the Cream!” said Eric. Ginger’s last gig with The GBO was up in Bradford and he managed to write his new Rover 2000 off in an accident on the way back. It was the end of an era and the beginning of a new age. The first Cream rehearsal proper, happened at St Ann’s Town Hall, Brondesbury, North London, with Liz, the journalist Chris Welch and a bemused Robert Stigwood (who had no idea of the phenomenon that was about to be unleashed upon the world) in attendance. In no time the story was leaked to The Melody Maker under the heading ‘Eric, Jack and Ginger Team Up’ and as neither Manfred Mann (Jack Bruce), The Bluesbreakers (Clapton) or The GBO (Baker) were aware of this new development, this caused some immediate friction within the embryo unit. Nevertheless, The Melody Maker of Cup Final Day, 30th July 1966, reports that ‘Britain’s most exciting new group’ were frantically rehearsing from 18th July onwards in a ‘bizarre’ church hall setting of ‘Brownies & Caretakers’ to be ready for ‘the sixth national jazz and blues festival at Windsor’ on the 31st. Apparently fans were already ‘excitedly looking forward to their first chance to hear the fiery three’ and Eric Clapton said he was ‘nervous, very nervous’. But in fact their debut gig was actually at Manchester’s Twisted Wheel Club…some say on the 29th and other’s on Cup Final Day itself and this writer can testify that on that day the shouts of the England fans could be heard in Ginger’s backyard in Neasden! On the 31st July at Windsor the Heaven’s opened, but no one cared about the mud and rain. England had triumphed and now was about to do so again when as The Melody Maker (of August 6th) reported, the moment came that ‘thousands had been waiting for’ and Ginger, Jack and Eric launched into ‘Spoonful’. This was followed by ‘Sleepy Time’ and ‘Train Time’ with Eric’s ‘incredible guitar’ causing the audience to ‘scream for more even when he was playing more’ and then Ginger’s solo ‘The Toad’ apparently ‘sent the crowd potty.’ They’d just witnessed the birth of Cream! From that moment on Cream took over the gigs that had been previously booked for the GBO. On 1st August they played the famous Cooks Ferry Inn, Edmonton, North East London, and on the 2nd they were at West Hampstead’s legendary Klooks Kleek. Ginger got his booking agent to ask for an extra £5 per gig, bumping the fee up to £45 per night (or about $460 in todays money) and Cream were off on a whirlwind tour, taking the UK by storm. The fact that the music was so good enabled them to put all differences aside and go into a studio in South Molton Street in London to record their first album Fresh Cream. Ginger remembers in his book ‘Hellraiser’ that overall ‘they were happy times’ and an occasion where they ‘tipped a box of cornflakes over Stigwood’s head, then Eric got hold of some scissors and cut his tie off’! They continued their meteoric success on endless gigs around the UK for the rest of the year and such was their earning capacity by now, that Stigwood even asked Ginger for a loan of £40,000 Cream money to avert his organization’s ‘imminent’ financial ‘disaster’. This Ginger did without the other 2 band members even knowing and the money was soon reimbursed. Cream played their last gig of 1966 on December 30th at the Double Giant Freak-Out Ball, The Roundhouse, Chalk Farm in London and Stigwood now had his eye firmly on the USA. The New Year kicked off with Cream undertaking a gruelling UK tour; first stop, The Ricky Tick Club in Windsor on the 7th January. On the same day The Melody Maker featured a double page article by Chris Welch, a ‘Focus on the group they said would never make it’. The first page was entitled ‘Pop Think in with Ginger Baker;’ in which Ginger answered questions on the subjects of Modern Art (specifically talking about the fibre-glass sculpture pictured in his auto-biography ‘Hellraiser’) Cream, Graham Bond, Drummers, Health, Drum Solo’s, Beards, Punch-ups, Irish Tempers, Keith Moon, Cars, Hang-ups, Fear, Love, N.S.U and The Small Faces! After three months of virtually non-stop dates in the UK, (the set-list including ‘Sweet Wine’, N.S.U. and ‘Spoonful’ with new songs being added as they got written), Cream were whisked off to New York, where between March 25th and April 2nd they guested on the Murray the K show, a stellar line-up, with amongst others The Who, Wilson Pickett and Simon & Garfunkel, playing one to two songs a day, one of which was, ‘I’m So Glad.’ Such were the high jinks on this occasion that Ginger remembers Murray finding him lying under the table with a bottle of Bacardi and saying ‘How the hell is he going to be able to play?’ But he did! Whilst there they recorded ‘Strange Brew’ in Atlantic Studios (they returned in the second week of May to finish The Disraeli Gears album). Then quick as a flash they were back touring the UK again, such as The Daily Express record Star Show at Wembley’s Empire Pool with The Troggs, The Kinks and Paul Jones; The Brighton Arts Festival, with The Who and on May 29th, Barbeque 67, Tulip Bulb Auction Hall, Spalding, with Pink Floyd, The Move, Geno Washington and The Jimi Hendrix Experience. On June 15th they recorded for the BBC TV programme Top of the Pops at Lime Grove and on the 22nd they appeared on the trendy TV show ‘Dee Time’ hosted by Simon Dee. On the 24th of the same month, Record Mirror’s page 3 led with Norman Joplin’s piece, ‘Ginger tells of Cream’s strange American trip’! In which the recording ‘Strange Brew’ is at that time labelled as ‘Witches Brew’ and the release of the recently recorded, ground-breaking Disraeli Gears LP, ‘all of it recorded in the states’ is tipped to be out in the UK ‘reasonably soon’. Cream blow US audiences away! On July 8th Ginger and Eric had their famous race down Ben Nevis in Scotland whilst on a photo shoot for the album. Sometime between July 15th and August 4th Ginger found time to take his newly pregnant wife Liz and daughter Nettie on a much needed holiday to Mexico City and Acapulco. But by the 4th Cream were up in Perth, Scotland, followed by a string of northern dates, before the Windsor Jazz Festival on the 13th. On 17th August Cream played at The Speakeasy in London, where they were introduced by Frank Zappa and just five days later they were wowing audiences at The Fillmore on the West Coast of America. In a brief piece in the Melody Maker of 26th August, Nick Jones predicted ‘there can be no doubt that they’re going to blow the lovers of California out of their heads’! Soon after, journalist George Almond wrote a glowing acid-fuelled piece entitled ‘Freaking out at The Fillmore’ in which he described ‘the first number’ exploding ‘into the auditorium’ as though it were ‘a musical megaton bomb’ and ‘for nearly an hour the message of 1967 roared out, everyone interpreting it in their own way.’ A wonderful evocation not only of the unique power of Cream’s music but also the twin themes of fear of nuclear destruction and the desire to rebuild the world anew….Cream..iconic and integral to the popular culture that shaped the ideology of the day. In fact, dear George felt moved to say that the audience on that particular night had ‘felt some message from a realm beyond normal understanding.’ Cream had come to America! They executed a lightning tour from coast to coast culminating at Detroit’s Grande Ballroom on October 15th. Then by the 24th they were recording in London for BBC Radio One with John Peel, followed by more UK dates; then off to Denmark and Sweden between November 10-18th and back in Newcastle-upon-Tyne (UK) by the 23rd! On the 18th, record Mirror featured an article with Eric Clapton about the Disraeli Gears album, in which LP sleeve photographer Robert Whitaker gets mis-named Roger Whittaker (a very traditional UK singer!). On the 26th they recorded a show for BBC TV at London’s Lime grove Studios and this is when Ginger od’d on heroin; a story he tells in ‘Hellraiser’. The Melody Maker of December 2nd reported ‘Ginger Baker Collapses – Doctors Suspect Ulcer.’ This caused Stigwood to make a few cancellations, but nevertheless, Ginger was back recording with Cream for Radio One again on December 3rd, followed by more UK dates, and ended up playing a debs ball in Chicago USA on 20th December, his daughter Nettie’s 6th Birthday. Cream’s last date of 1967 was on the 23rd December back at The Grande Ballroom in Detroit, after which they rushed home to spend Christmas with their families, before it started all over again in 1968. Cream takes the world by storm! 1968 continued in the same frenetic way as the previous two years since Cream had started out. January 5th saw them play The Industrial Club in Norwich, on the 9th they recorded the Top Gear show for BBC Radio One and the next night they played London’s Revolution Club, which was filmed for French TV. There was no let up as they hopped over to Amsterdam, back to Redcar in the North of England, down to Brighton, up to Leeds University, down to Twickenham, back up to Nottingham and down again to UCL in London before flying off to Denmark for four days where they were filmed for a movie (Det Var En Lordag Aften). By the 10th February they were back in Manchester, UK, before beginning their next massive US tour in Santa Monica on the 23rd. Ginger was already settled in his US hotel room on 20th February and into the recording of The Wheels of Fire album, when his mother phoned to tell him of the home-birth of his baby daughter Leda. ‘I’ve got a sink full of dirty socks!’ was Ginger’s reply to the news! Producer Felix Papalardi wanted it to be a double album and Atlantic weren’t keen, but Cream themselves also thought it a good idea. Felix said, ‘the music is never discussed, it just happens.’ Whatever ‘happened’, it was the first album ever to go double-platinum after its release. Melody Maker’s review of it on August 10th, also rates Toad as ‘the best solo Ginger has ever recorded’. An article written much later by Rob Lewis cites ‘Cream’s sustained success’ for the fact that this tour was ‘extended to last until June of 1968’, allowing only one break which ‘tested the interpersonal relationships.’ Ginger felt that ‘the constant gigging meant our performances weren’t always that good’ and the size and volume of the amps caused constant pain with his ears and led to many altercations with Jack Bruce about ‘turning up.’ Both Ginger and Eric have been quoted as saying that however badly they played they would get a standing ovation and this seemed to trouble them. Yet for fans this was the band they wanted to see. Cream had a magic rarely experienced before. Kenny Bardoll, bass player of The Corporation, summed it up like this, ‘We were just flabbergasted by the whole thing…you know,…here they are, The Cream!’ 14 and 15 year old boys had the experiences of a lifetime and remember an awe inspiring Milwaukee evening when Eric’s amps blew! Local Journalist Michael H. Drew reported that ‘unless someone learns to harness the atom instrumentally, it is likely that the Cream have reached the musical ultimate – in volume, style and sound.’ And in success… because by January 1969, The Robert Stigwood Organisation sent a letter to Cream’s fans stating that on this and their final tour later in the year, they ‘smashed all box office records currently held by The Beatles’!! So the album was recorded and on October 4th Cream left for their ‘Goodbye’ tour of the states and in England the October 5th issue of The NME featured them on the cover. On November 26th 1968, Cream played their farewell performance at The Albert Hall….a gig filmed for posterity and which none of them rated musically. The protagonists were tired and glad to be free, never realising that so great was their influence, talent and inspiration that 37 years later they would grace the Royal Albert Hall stage again for four concerts – to a standing ovation that all three were happy to take. In October 2005, they performed three further concerts at New York’s Madison Square Garden. The London shows were released on CD and DVD in late 2005. It is really hard to believe that Cream was only together for a little more than two years. They were rock’s first power-trio and in their short history would sell millions of records and sell out concert halls everywhere. The band was formed as a blues-rock outfit in late 1966 with Eric Clapton on guitar and occasional lead vocals, Jack Bruce as its main songwriter, lead singer and bassist and drummer Ginger Baker. Clapton was already pretty well known as a guitar hero in the UK and with Cream would soon be an international guitar playing superstar. He had been in bands like the Yardbirds and John Mayall’s Bluesbreakers before Cream. Bruce also had been a member of the Bluesbreakers along with Clapton for a short time and had just left Manfred Mann’s band when he joined up. Baker was the drummer for the Graham Bond Organisation , yet another band that Bruce had also been a member of. All three Cream members were looking to expand their music experiences and play music other than what was standard for the time period. No question that was what they ended up doing, playing long bluesrock jams and extended solos live including everything from blues, to psychedelic, to hard rock. Their first album, Fresh Cream was released in December of ’66. Mainly a blues flavored album, it was a hit reaching the British Top Ten in early 1967. Almost a year after their first release came the album Disraeli Gears. It was loaded with hits and made them big in the US, reaching number five. The hard rock song “Sunshine of Your Love,” was the album’s biggest hit with its great guitar and haunting vocals. “Strange Brew” was another hit and songs like “Dance the Night Away,” “Tales of Brave Ulysses” and “S.W.L.A.B.R.” all got substantial radio play. 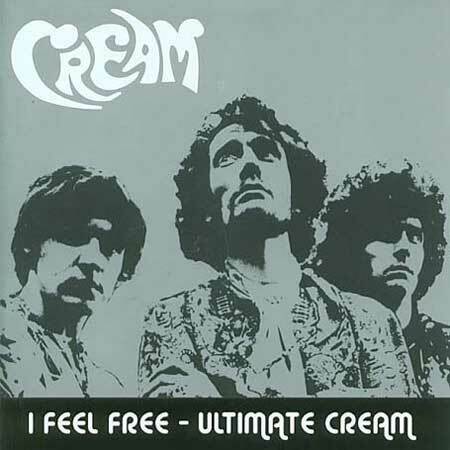 It seem unreal that a band so hot would break up while at their peak, yet that is just what happened to Cream. Once again the three members wanted to break out and do something new. 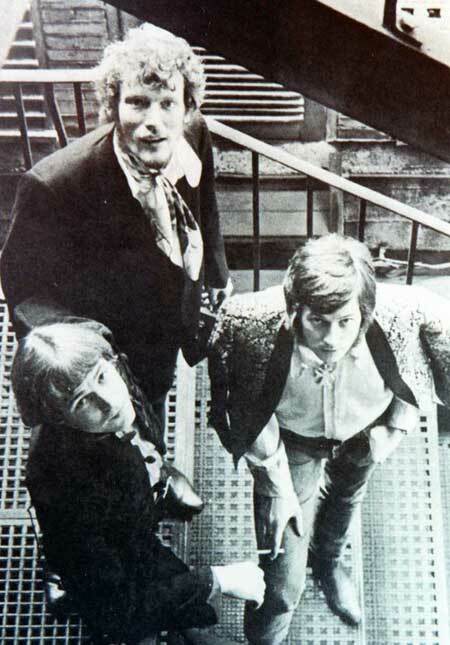 Cream played their last concert on November 26, 1968, at London’s Royal Albert Hall. There would be one last album after the breakup to be released in early 1969 , Goodbye, it consisted of three studio tracks and three live tracks. One of those studio tunes would be the Eric Clapton-George Harrison composition “Badge” which is the album’s best track. Goodbye may not have gotten the greatest reviews but it did hit number two on the charts. Life after Cream was most rewarding for Clapton with a huge solo career. He did briefly belong to two supergroups, teaming up again in ’69 with Baker in Blind Faith and then in 1970 he formed Derek & the Dominos. Bruce went on to form several different bands with several big name musicians, notably Gary Moore in BBM and covered everything from blues, rock, folk and jazz. After Blind Faith, Baker formed a couple of bands including Ginger Baker’s Air Force which put out a couple of albums. He was later in a few other bands and then got back with Bruce in BBM in 1994. He retired from the business in late ’97 and bought a horse farm in Colorado which he ran until late ’99 when he was being forced out of the country. • Ginger Baker inspite of serious health problems, followed by a successful open heart surgery, he still lives on his ranch in South Africa at the age of 78. • Eric Clapton still performs regularly and lives with his wife and three daughters in Columbus Ohio. He likes Columbus. Says that people don’t bother him because they don’t know who he is!